Good work and thanks for the pack. I'm sure it already exist a SMB3 version of this door, you need to search into the biggest custom GFX pack. Some people use their signature to link to projects or important threads made by them. 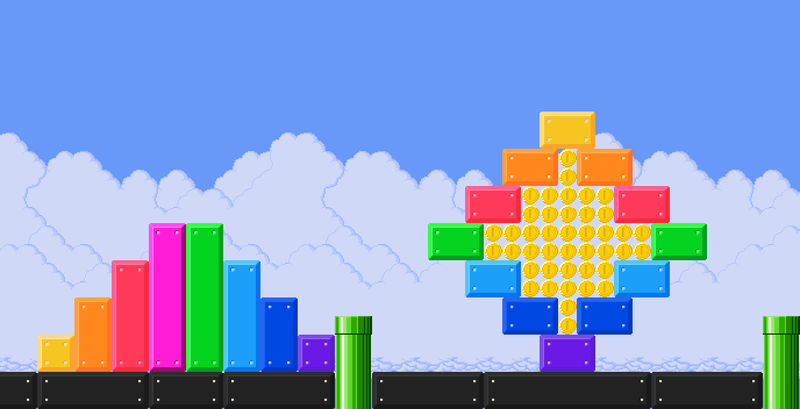 And ranks are just a bit of fun adding a touch of animation while renforcing the Super Mario theme. I can agree with the avatar size but not disabling rank and signature. But I am for reducing signature size. Too many time while scrolling on a thread it suddenly stop because it changed to scroll a too big signature because of a huge picture in it. I would advice you to use more shade of colors for a smoother contrast and to avoid black/really dark grey beside outlining the external shape. I feel like they're more Master System than Genesis to be honest. Yes, pretty much. It's all about building colors palette and replacing the outline, while editing what need to be changed when you got a base to work on. It's more difficult with npc but not that much for simple block or anything with a basic shape like a pipe. I know I said I will be working on npc but tileset and blocks are more easy to do. Yes, that's why I said "flying" but the wings can be made invisible with a custom graphic. I know SMBX 38A use that kind of green arrows and you need to chose a NPC specific advanced setting in a list to make it follows the arrows. I don't know if it works the same way but I guess it's the same goal, making a flying npc follows a predefined path. Topic: How to make scale platforms in SMBX 1.4.4 (38A) ? Re: How to make scale platforms in SMBX 1.4.4 (38A) ? I never heard of this "Ultimate" version. Is it a real thing or some virus? Yes. I just need to finish more npc in this style to be enough for a release pack. It should be usable if you put with it a "npc-1.txt" file with these lines. A custom edit/recolor by me of the goomba made by Omega, itself based on the one from Super Princess Peach. I tried to make it "3DS" look. Thanks for the advice, I will try to do the needed change.